The year was 1912. The Titanic was sinking, New Mexico was becoming the 47th state and Arizona was becoming the 48th. The Scoville Organoleptic Test was being developed (to rate the spicy heat of a pepper), and, ah, yes, the good ol’ Life Saver was being born. Hailing from Cleveland, Ohio, weighing approximately 2 grams, the Pep-O-Mint Life Saver was born thanks to the clever determination of his father, Clarence Crane, a chocolate maker who set out to create a sweet treat to beat the summer heat. Skittles Candy Commercial: Sparky Tube Sock to Sell Skittles? I saw this commercial for Skittles Fizzlâ€™d Fruits and thought it was hilarious. It reminded me of being a kid with my siblings as we “charged up” in our socks to shock each other. Good times! Hardwood floors are fancy and nice, but nothing’s more fun than shag carpet! I wonder… is “sock-shocking” a favorite pastime for any one else out there? Also, why in the world is one of Tube Sock’s legs considerably larger than the other?! Sometimes I like to make up stories and it just so happens that right now is sometimes. I heard the uni-sock wearer broke his leg during the filming and had to continue filming because he was under contract. So, the biggest leg? That’s a cast under there. It’s dangerous work as a stunt sock, don’t ya know. Anyone else have any thoughts on leggus maximus? Everyone knows a Life Saver â€“ the sweet, minty or fruity hard candy with the candy-with-the-hole shape. I’m no Life Savers connoisseur, but I do enjoy them. I like being able to pop one in my mouth for ten minutes of flavor enjoyment. 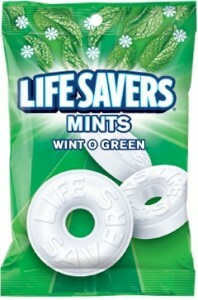 I’m a Life Savers sucker â€“ not a muncher. 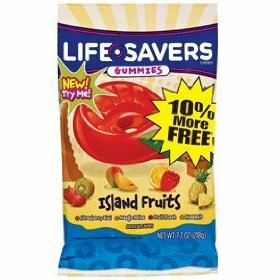 I recently tried a different type of Life Saver, one that you almost have to chew, one that is completely different from the Life Savers I grew up loving. These are Life Savers Gummies â€“ the gummy worm version of this iconic American candy gone modern. 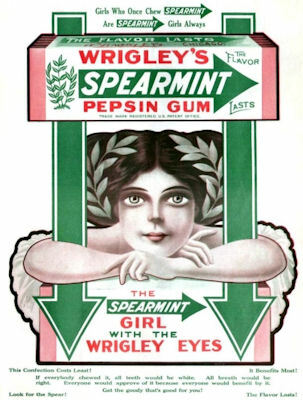 I’m the girl with the Spearmint Eyes. 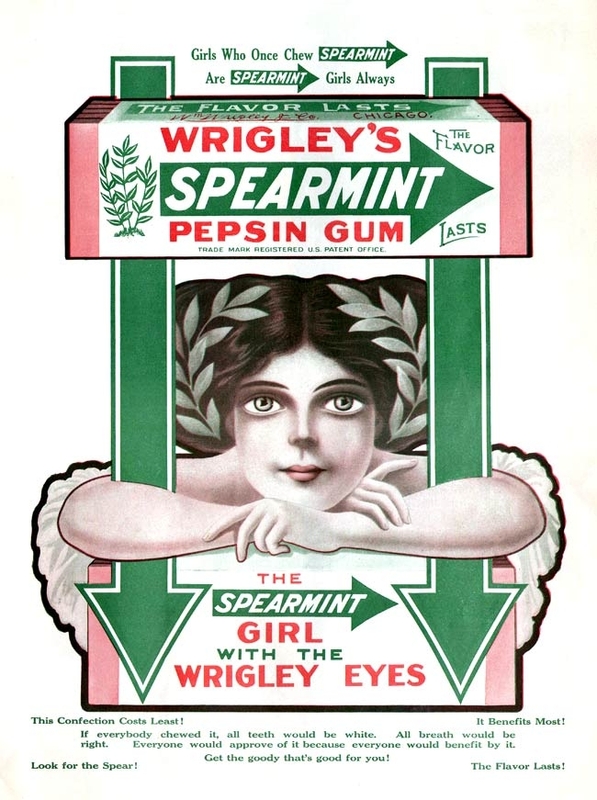 Once a Spearmint Girl, always a Spearmint Girl… only Wrigley let me down. So I’ve been on a quest to replace my first love, and it’s time for the second part of my stroll down Spearmint Lane. (Don’t forget to read Part 1 of the Spearmint Mini-Roundup.) Out of the nine varieties of spearmint gum I’ve tried, I liked only three well enough to buy them again. Does that mean that most gum is lousy or that I’m picky? Whatever the case, I’m going to share four more spearmint gums with you today. Some hot, some mild, some made with milk â€“ it’s all here! Come on, let’s go. I’ve always enjoyed studying history, especially U.S. history. When I learn something new I’m amazed at how ignorant and totally clueless I can be, even when it comes to something as simple as gum. For years I thought Orbit gum was a relatively new product from Wrigley. Wrong! 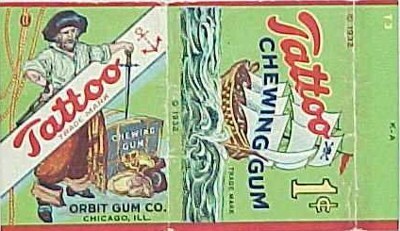 Orbit has been around since World War II when Wrigley began shipping all of their gum production overseas to the Armed Forces. With no JuicyFruit, Spearmint or Doublemint available for civilians in the U.S., Wrigley introduced Orbit. After the war, in 1946, Wrigley brought the big three back to the States and phased out Orbit. It wasn’t until 1976 that Orbit returned – only to Germany, Switzerland, and the Netherlands – as the first sugar-free gum ever released under the Wrigley name.